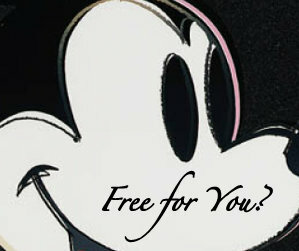 “Mickey Thru the Years” is simply a salute to Mickey Mouse. 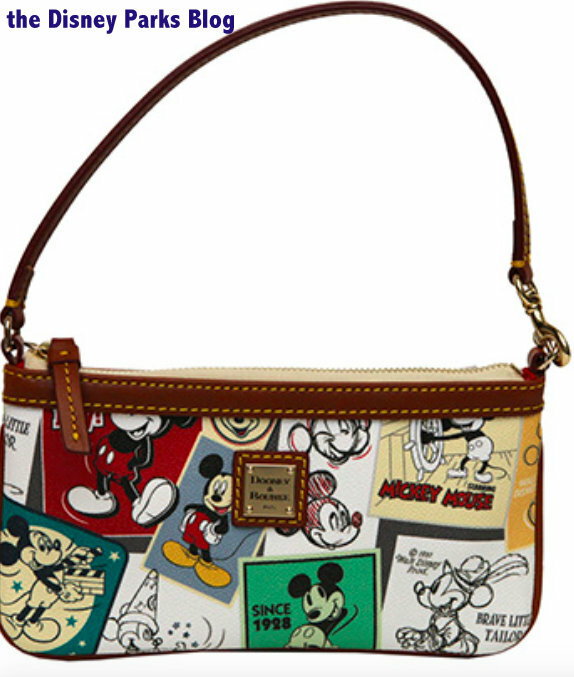 Handbags offered will be a large letter carrier, a tote, and a wristlet. 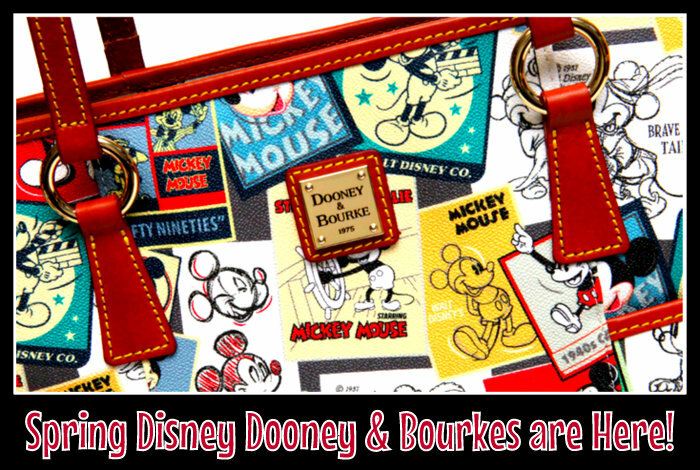 Mickey Thru the Years will be released in early May 2016, and you can find them in merchandise locations on Disney property that currently carry Dooney & Bourke items. 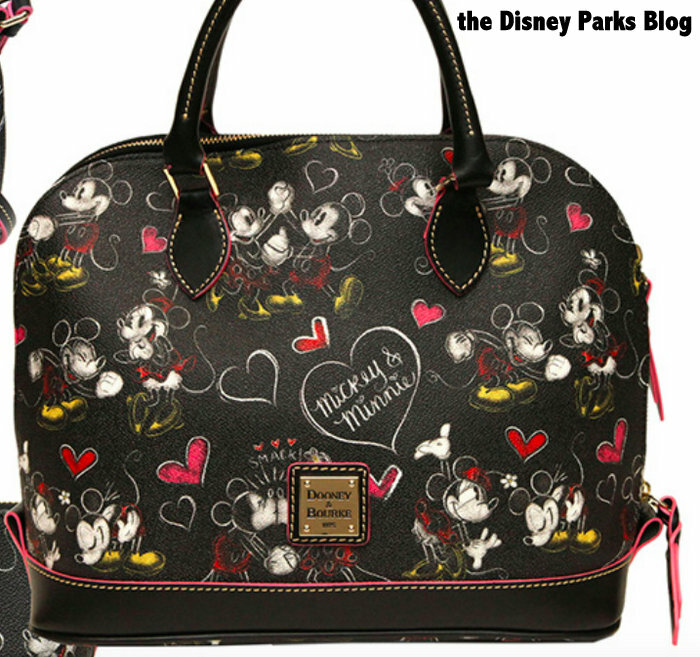 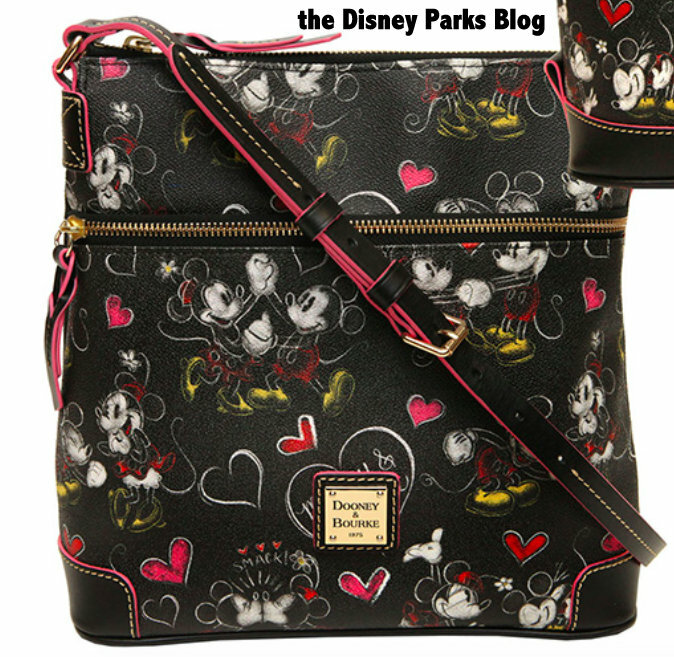 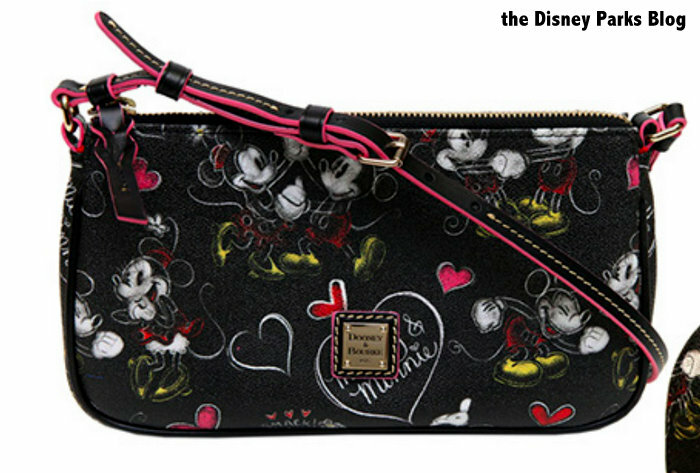 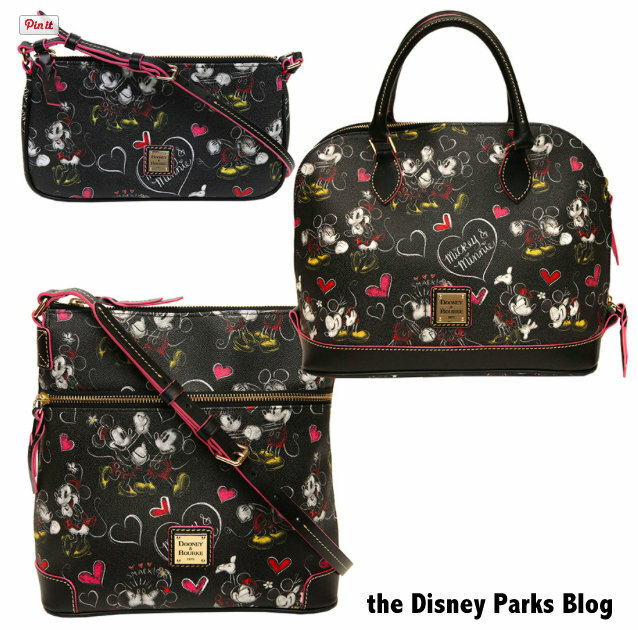 “Romancing Minnie” is a precious way to show your love for Mickey loving on his favorite gal! 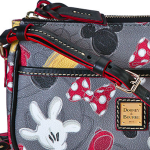 Handbags offered will be a zip satchel, a large letter carrier, and a pouchette. 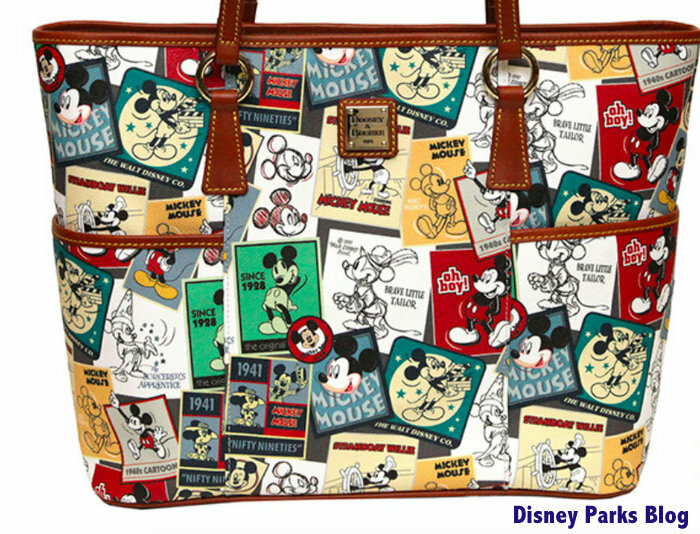 This collection will only be found at the Cherry Tree Lane section inside the Marketplace Co-Op at Disney Springs starting in mid-to-late May. 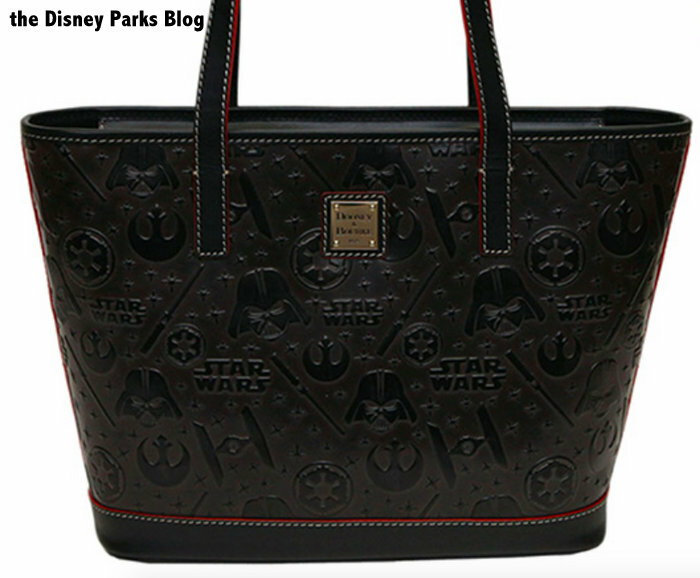 Apparently these handbags won’t be carried at Disneyland at this time. 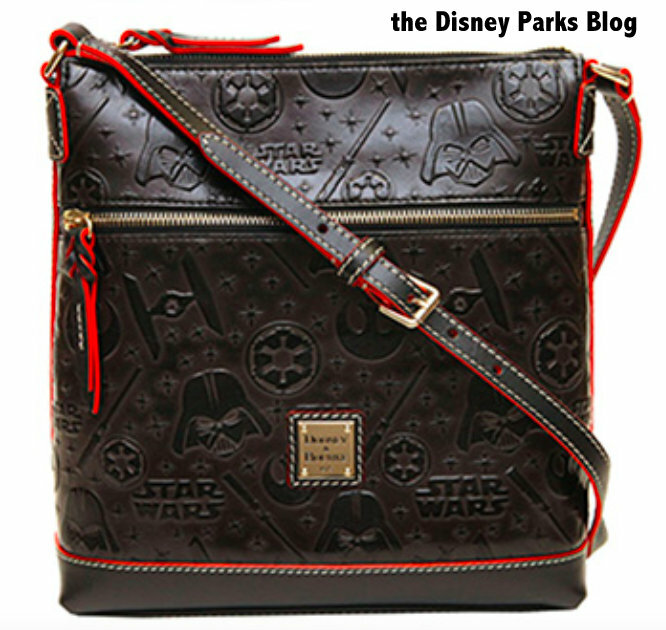 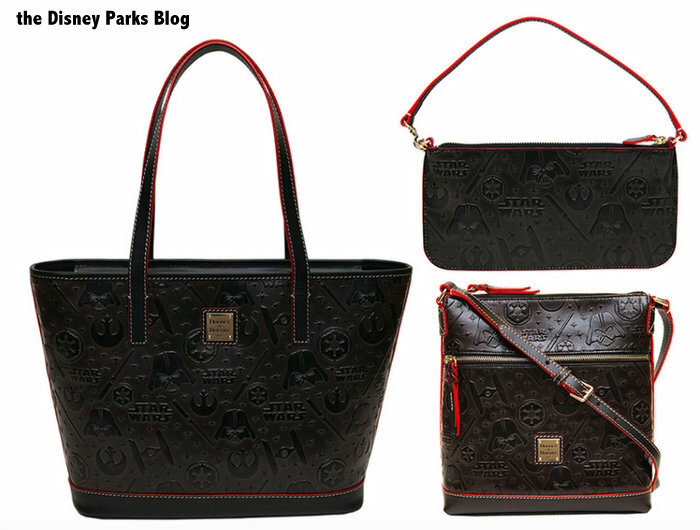 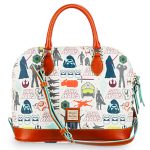 For you Star Wars fans, three black leather bags will be embossed with beloved characters and icons. 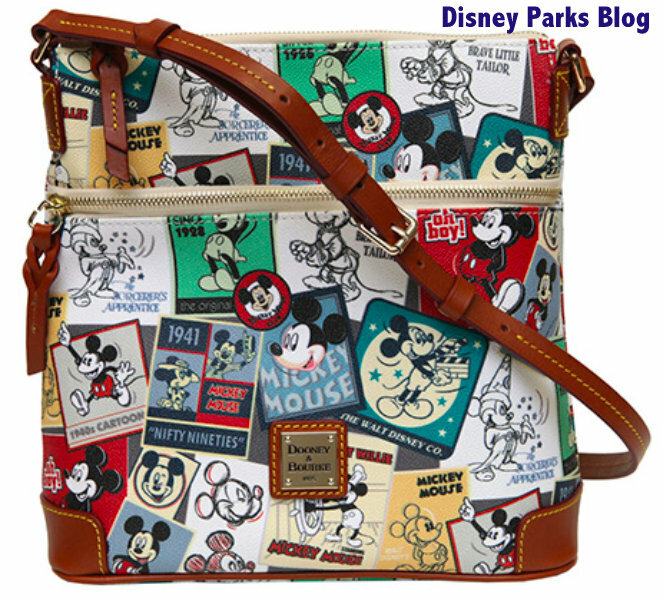 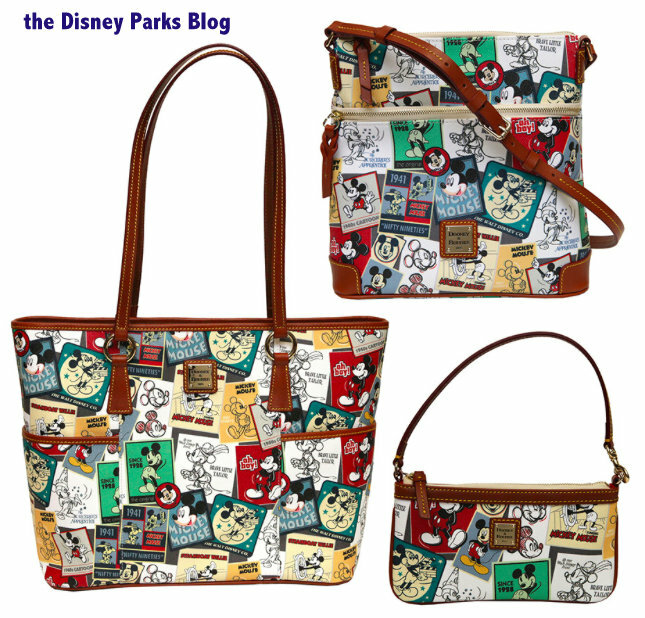 Starting in mid-to-late May, you can find these bags at Legends of Hollywood in Disney’s Hollywood Studios or at The Star Trader in Disneyland park. 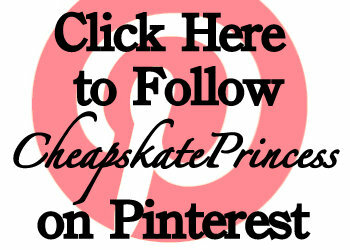 No prices have been released yet for any of these items. 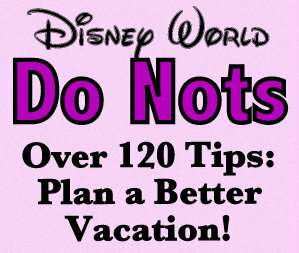 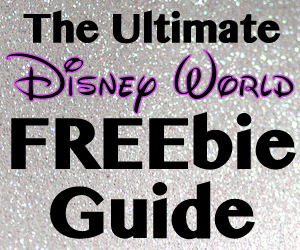 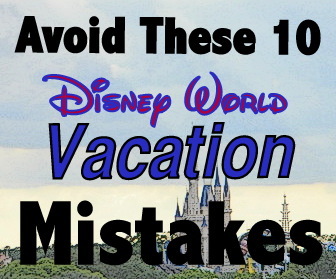 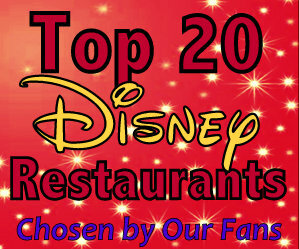 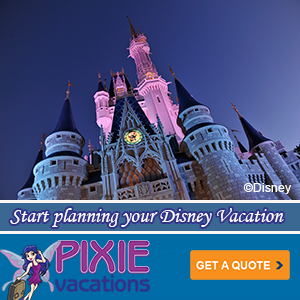 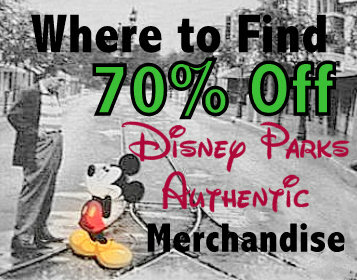 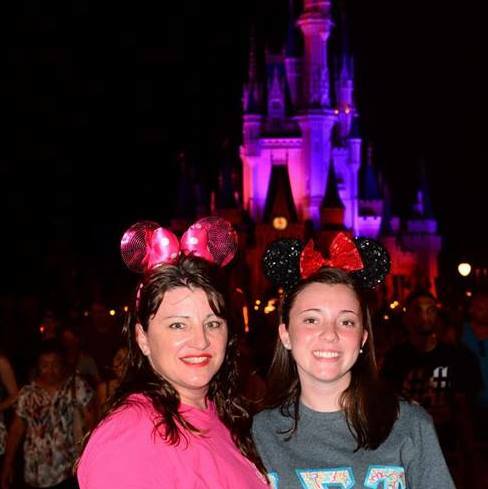 Not headed to Disney World or Disneyland anytime soon but feel the need to make a purchase? 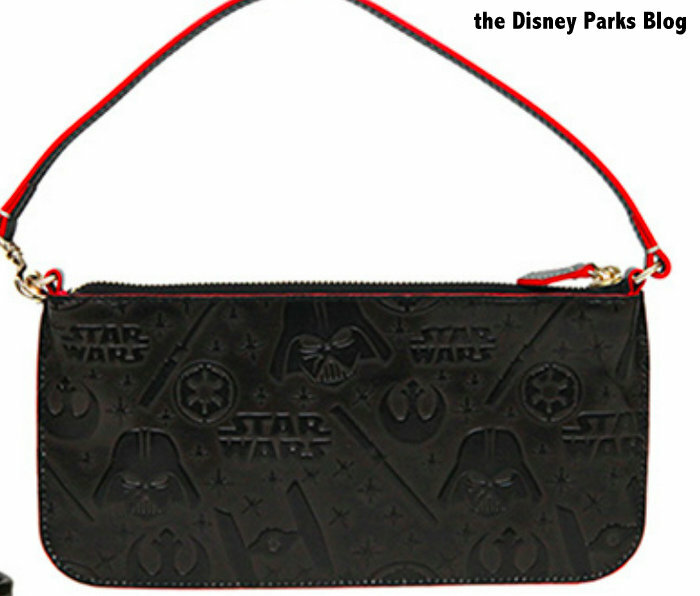 Disney has a remedy for that fashion dilemma. 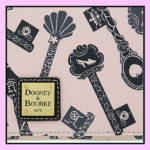 You can find some of these select Dooney & Bourke items using the Shop Disney Parks mobile app before they are released in merchandise locations at Disney Parks. 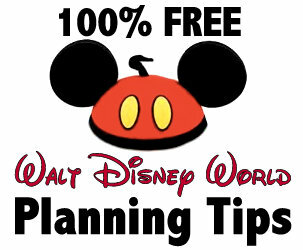 Just visit DisneyWorld.com/Shop to download the free app. 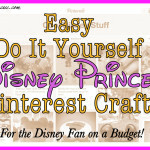 12 Disney Craft Ideas from Pinterest for the Disney Princess on a Budget!